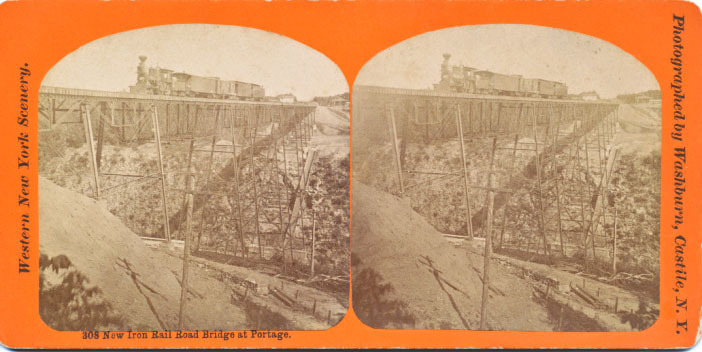 "309 New Iron Rail Road Bridge at Portage"
Washburn probably took this view of the Portage Bridge within a few month of its opening in the summer of 1875. It is taken from the west bank of the gorge, just south of the bridge. This bridge replaced a wooden trestle that had burned the previous spring. Among the interesting details (see enlarged view below) are the telegraph poles and the area of the east bank just below the bridge. That is the area through which a road would later be built. A parking lot is now located where Mr. Washburn set up his equipment. 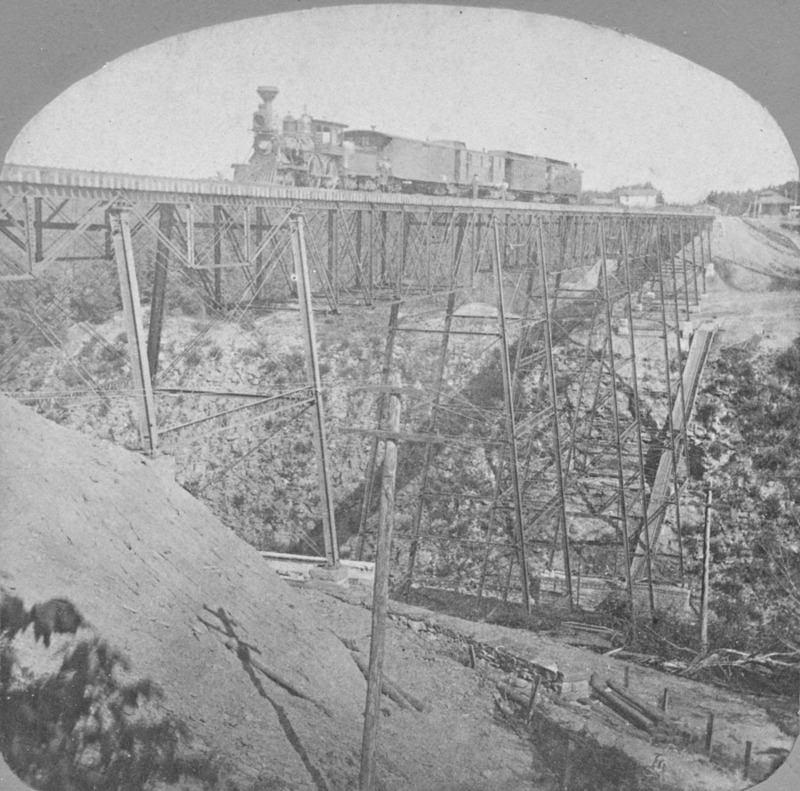 Also note that the train is stopped on the bridge - with only two passenger cars it may have been an excursion train to visit the new Iron Bridge. The Portage Bridge depot is visible at the far end of the bridge, and across the tracks the top of the Emerald House can be seen. The other hotel, the famous Cascade House. is not visible. For more photographs of the Portage Bridge, click here.